Christmas is one of special days in year that everyone always expects with their happy. It is a well known fact that people start preparing for Christmas celebrations few days back to make this day most memorable. Besides the real life, in the digital life nowadays, we can easily enjoy a lot of interesting experiments for this special holiday. These amazing experiments are available on many platforms: Web-based applications, PC softwares, phone-based platforms, etc. Today in this post, I would like to talk about iPhone and special application for this event. With an iPhone phone, you will be glad to know that there are new applications in App Store where you can install many free Christmas apps to enjoy a Christmas virtual reality, because there are 300,000+ applications in App Store (count to October 20, 2010 – Wikipedia) – largest and biggest application market. 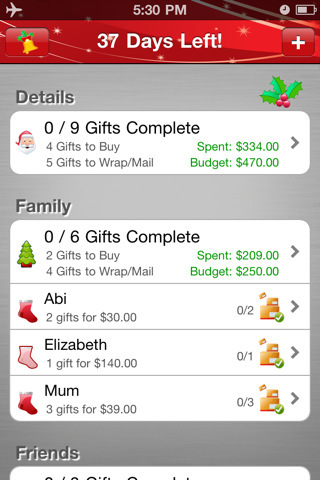 These Christmas iPhone applications can be installed on the iPhone very quickly and you can enjoy the features. There are thousands of such applications and pick the best one can be a tedious task. But in this post, I’ll do this task for you by presenting top 10 best Christmas applications which you just download then install them on your iPhone to enjoy an amazing Christmas virtual reality. This is one of the best ways to get the spirits of Christmas with your friends, family and loved ones. This is because of the fact that this Christmas application is loaded with numerous Christmas songs and sounds such as church bells, Fire Cracking, Sleigh Bells and many more. 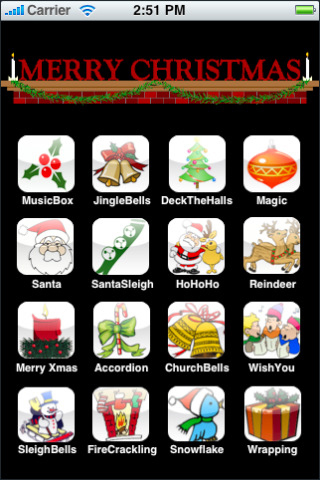 One of the most amazing features is that you will be able to play Christmas sounds when you are making a call. This is one of the most amazing and coolest applications for this Christmas. It allows keeping the tab till Christmas arrives and up-to-the-minute countdown is also indicated. You will not lose a precious time and will be able to listen to the Christmas music and watch the minutes ticking away. This is one of the most popular iPhone application for Christmas and is available for free to be downloaded. Your iPhone will bring you a great collection of over one hundred beautiful classic vintage greeting cards for the Christmas. Besides, you can send these greeting cards to your friends as much as you want. That’s cool application to share joys together. 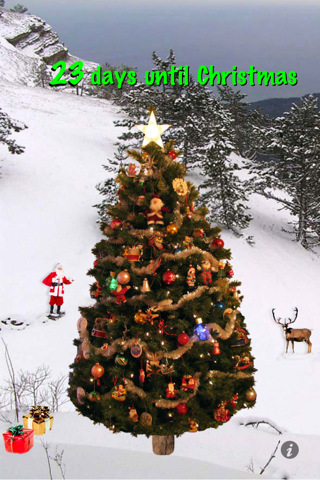 With the help of this application, you will be able to create a 3D pine tree with falling snowflakes on your iPhone. Many virtual scenes makes it amazing to look at. It is available in $.99 and you can change the look of your iPhone. This is one of the old-fashioned ways to spend time with your elders in family. 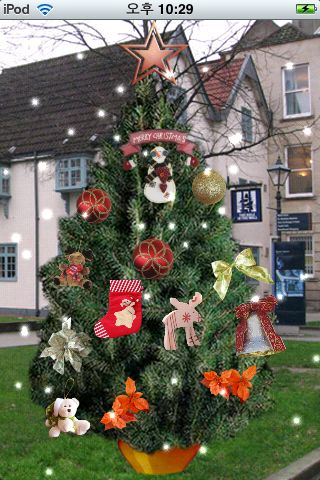 With this application, you can spend Christmas in a conventional way by story-telling feature of this application. There are some traditional collections in this application such as Pocket Mistletoe, 12 day of Christmas and A Christmas carol. 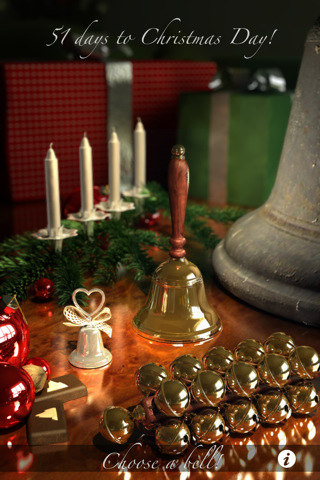 With the help of this iPhone application for Christmas, you will be able to turn your phone into a Xmas bell. You will have an option to choose from three different bells. It is a known fact that this is the first high quality bell application developed by Apple. It is available for just $.99 which is quite affordable. It is a free application which can be installed on iPhone. This application will give you Christmas countdown in the form of an image of Santa showing the cards which display how many sleeps are left behind Christmas. 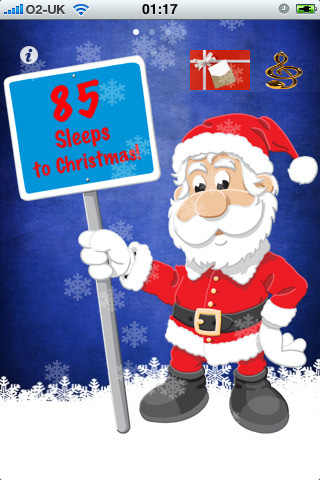 The countdown is also available with Christmas tunes making it more impressive. This is one of the most appreciated iPhone application for this Christmas. It can easily be installed on iPhone and is available for $.99. You will get high-spirited for Christmas because it gives you an option to set a wall paper for iPhone screen. 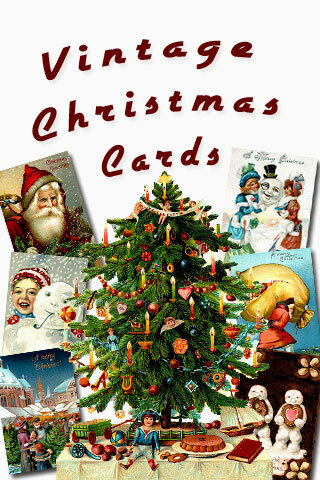 You can even get Christmas cards with this application. Next in the list of top iPhone applications is iChristmas Tree. You will have a bare iPhone Christmas tree and it is available with various Christmas tools so that you are able to decorate the tree as per your choices and preferences. This is one of the best applications for your iPhone and you can spend time beautifying the Christmas tree. This application is made available by Andrew Grant. This application will help you choose the gifts for your friends, family and loved ones. 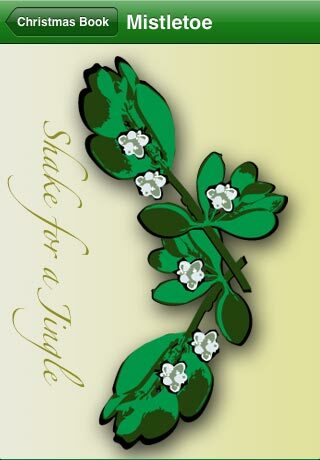 This application is available in $1.99 and lots of people have given positive reviews about it. And what about this app? – CuteShot for making Christmas postcards. how should I recommend? how do you want? Don’t forget the favorite holiday classic poem, Twas the Night Before Christmas. Our new app features written and illustrated content from the original 1912 book version of the poem, voice narration, beautifully composed music, and full English and Spanish translations.